P = pzoptions returns a list of available options for pole/zero plots (pole/zero, input-output pole/zero and root locus) with default values set.. You can use these options to customize the pole/zero plot appearance from the command line. P = pzoption('cstprefs') initializes the plot options with the options you selected in the Control System and System Identification Toolbox Preferences Editor. For more information about the editor, see Toolbox Preferences Editor. This table summarizes the available pole/zero plot options. GridColor Color of the grid lines, specified as one of the following: Vector of RGB values in the range [0,1]| character vector of color name |'none'. For example, for yellow color, specify as one of the following: [1 1 0], 'yellow', or 'y'. You can also specify 'auto' which uses frequency units rad/TimeUnit relative to system time units specified in the TimeUnit property. For multiple systems with different time units, the units of the first system are used. You can also specify 'auto' which uses time units specified in the TimeUnit property of the input system. For multiple systems with different time units, the units of the first system is used. Number of standard deviations to use when displaying the confidence region characteristic for identified models (valid only iopzplot). 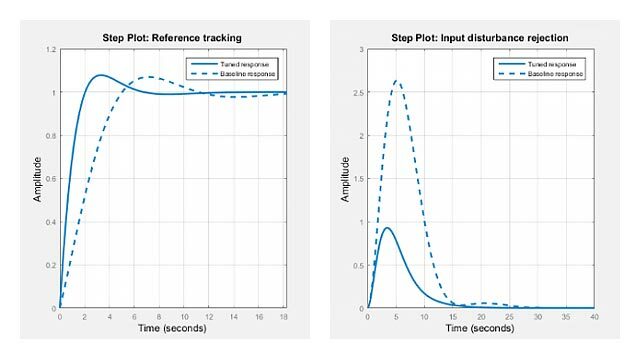 Create a default option set for root locus plots. In the plot options, specify the grid as visible. Use the specified options to plot the root locus of a transfer function. 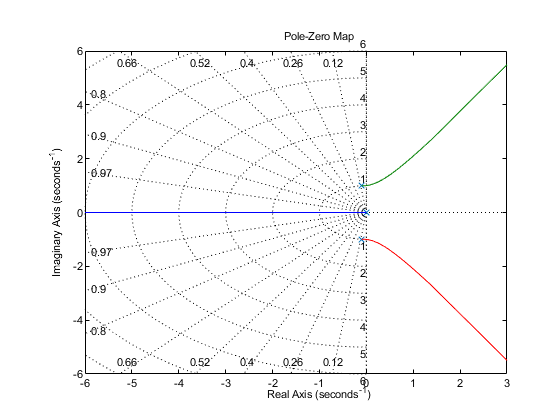 The root locus plot is generated with the grid enabled.